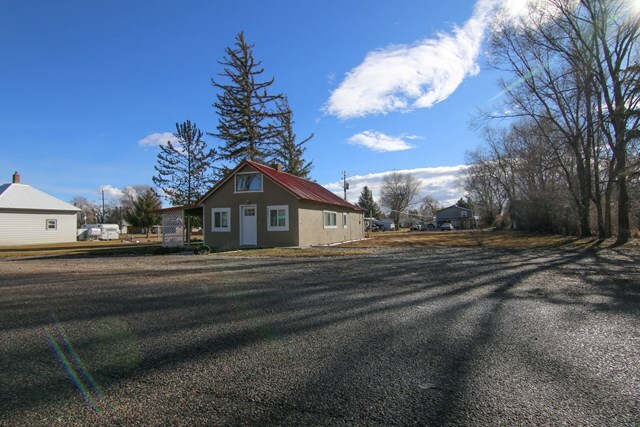 Cute Charming HOME in the heart of Roberts ID. This home was taken all the way down to the studs and rebuilt to make this your HOME!!!!! Walk in the front door to your living room, right around the corner is a spacious kitchen with plenty of counter space, stainless steel appliances that will make family dinner easy. Adjacent is the laundry room/mudroom with a door leading out to the covered patio that faces east, perfect for beautiful summertime evenings, enjoying a BBQ or cup of coffee. Down the hall are a fully updated bathroom and 3 good size bedrooms. Master bedroom has his n’ her closet, the roof is maintenance/ free metal. All this on a .33 acre lot for a great low price. Come look at this property that is truly move in ready!!! !